The world's longest ruling head of state, Mu'ammar al-Qadhdhafi (the correct transliteration of his name), would have been ruler of Libya for exactly 42 years on Sept. 1. As he leaves the scene, his wretched reign deserves an appraisal. 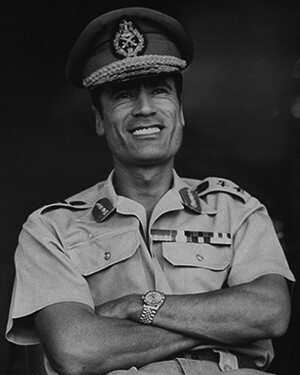 On taking power, Qaddafi was one of the most handsome of public figures. Qaddafi took power at the age of 27 in the waning days of Gamal Abdel Nasser, the immensely influential pan-Arab leader of Egypt, and saw himself as Nasser's acolyte but with a greater ambitions: whereas Nasser dreamed of a single Arab nation stretching from the Atlantic to the Persian Gulf as an end in itself, Qaddafi saw Arab unity as the first step to Muslim unity. Although Qaddafi failed to achieve any sort of unity, and his "Third International Theory" detailed in the 1975 Green Book proved a total bust, he did have an early and marked impact on two major developments. First, he had a key role in the increase in energy prices that began in 1972 and continues to this day. By challenging the international oil companies' control over petroleum production and pricing, he began the transfer of power from Western boardrooms to Middle Eastern palaces. Specifically, the chances Qaddafi successfully took helped bring about the four-fold increase in oil prices of 1973-74. 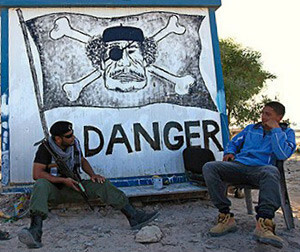 Qaddafi's long rule can be divided into four eras. The first and most significant, 1969-86, consisted of frenetic activity on his part, meddling in issues and conflicts from Northern Ireland to the southern Philippines. An incomplete listing would include the near crippling of Jimmy Carter's 1980 re-election campaign by making payments to his brother Billy; declaring political union with Syria; aiding Iran militarily versus Iraq; threatening Malta over oil exploration in contested waters; bribing the Cypriot government to accept a Libyan radio transmitter; sending troops to southern Chad to control the country and unify with it; and helping a Muslim group in Nigeria whose violence left over 100 dead. 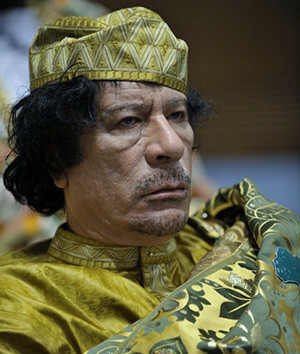 Symbolic of his regime's decay, Qaddafi eventually became one of the ugliest public figures. But these efforts led nowhere. As I wrote in a 1981 assessment, "Not one of Qaddafi's attempts at coups d'état has toppled a government, not one rebellious force has succeeded, no separatists have established a new state, no terrorist campaign has broken a people's resolve, no plan for union has been carried through, and no country save Libya follows the 'third theory.' Qaddafi has reaped bitterness and destruction without attaining any of his goals. Greater futility can scarcely be imagined." That first era ended with the U.S. bombardment of 1986 in retaliation for the bombing of a discotheque in Berlin, which seemed to affect Qaddafi's psyche. His rabid adventurism dramatically declined, accompanied by a turn toward Africa and an ambition to build weapons of mass destruction. As his presence on the world stage shriveled, he was dismissed as a nut-job. Arguably, Qaddafi was even uglier in person than this caricature near Misurata. After decades of repression and deceit, Libyans now face the challenge of discarding that foul legacy. They must struggle to free themselves of paranoia, depravity, and contortion. As Andrew Solomon of the New Yorker summed up the problem, Libyans "may recover from the Qaddafis' embezzlement and brutality, but the falseness of life in the Great Socialist People's Libyan Arab Jamahiriya will take a long time to fade." Related Topics: History, Libya | Daniel Pipes receive the latest by email: subscribe to the free mef mailing list This text may be reposted or forwarded so long as it is presented as an integral whole with complete and accurate information provided about its author, date, place of publication, and original URL.